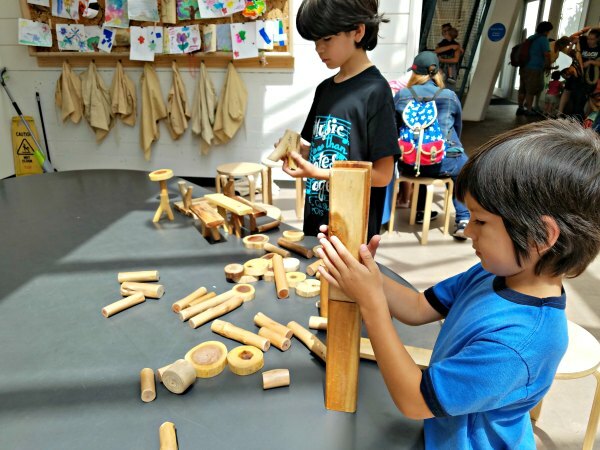 It's been a long time since we have been to Kidspace Children's Museum in Pasadena and I am so glad we got invited to go! It has changed a lot! I totally forgot about the water play there so we will have to go again prepared with water shoes and water clothes. There was a lot to do and we didn't get to complete the whole thing. Since we live in Southern California we had to leave by 2pm in order to avoid the traffic driving home. So I gave the kids the GoPro and in the video you will see them running to the top of the Raindrop Climber. It's just for kids as they climb higher it gets smaller and smaller to climb through. WOW amazing view from the top! I loved seeing this perspective as I always wondered how it was on top. 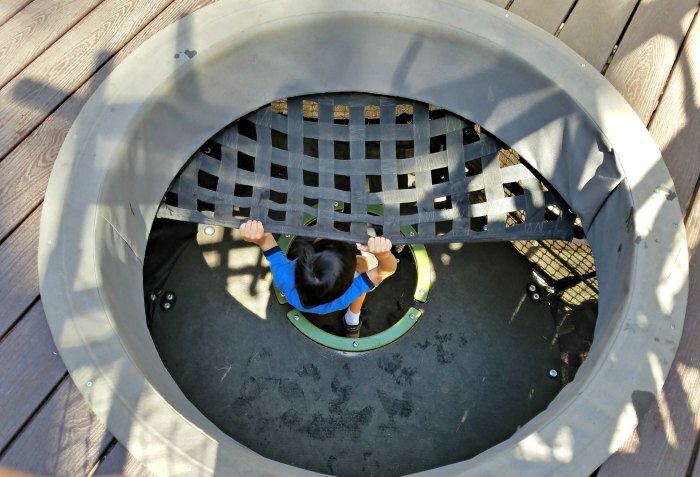 From 40 feet at the top the kids get a birds eye view of Kidspace. Inside there is a lot of interactive building activities. The kids favorite was the robotics. This activity will take about half an hour plus to do. 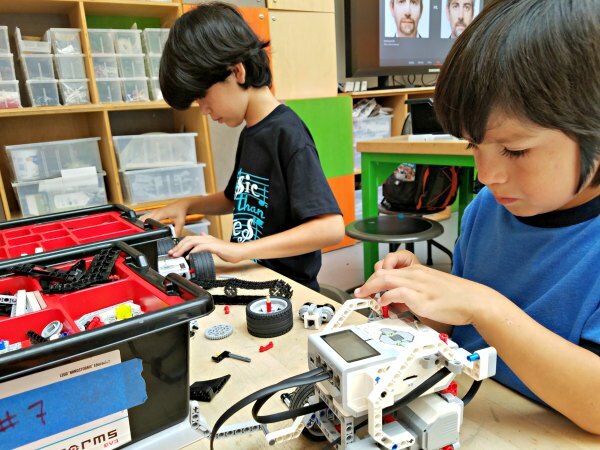 Kids get to build their robotic, but you can also find one that is pre-built and have your little one work on it. The staff there is amazing at helping the kids out build. 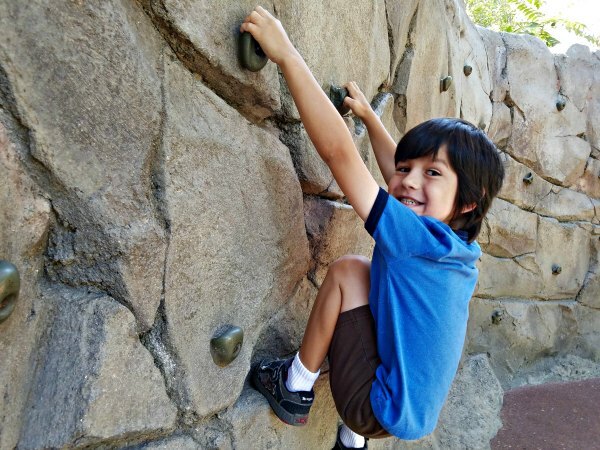 Kids had fun climbing on this rock wall. A little bit challenging for them to climb across, but they liked it. Lots of things for them to make music. This was a hit with both boys and I love that it was in a shady area. Kids did this over and over and over again! They loved going up and down. Stay tuned as I will add more to this post as we go again! Next time some water play and mud!